Black velvet cupcake recipe at the end of this post! On Friday I was lucky enough to be invited along to judge the baking competition at the Lansdowne in the West End. The event was being run to raise money for Macmillan Cancer Support and together with Evelyn from Top Tier Cakes we had the lovely task of tasting 12 delicious cakes, brownies and cupcakes. There was quite a few really lovely cakes, but the toughest part of the day was picking between the top three. Look at this beauty! I think this was my favourite for the fact it was so unique: a black velvet cupcake. This was absolutely delicious and was baked by the Lansdowne Assistant Manager Barry! The downside was that the black food colouring turned your mouth and tongue black: in my opinion, the taste was totally worth it. These cupcakes came 3rd overall! These babies came in 2nd place - so pretty! Raspberry and honey cupcakes - and they had some orange zest through them too. The whole raspberries in the mix were a real highlight. 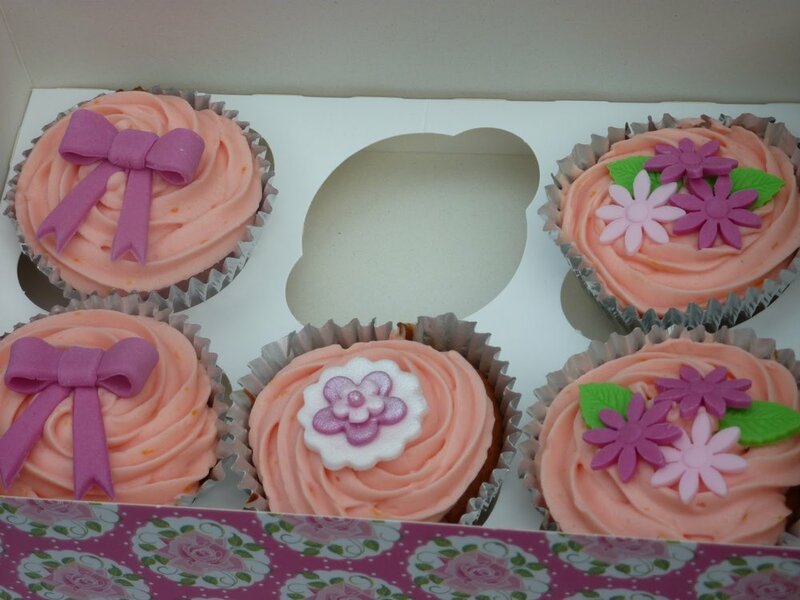 These were baked by Alison McKenzie - congratulations! Shockingly, I don't have a picture of the cake that came in first! It was a chocolate cake with just the right amount of ganache and was impossible to fault, hence it winning first! If I can find a picture online, I'll upload it. First place was won by Emma Briggs. 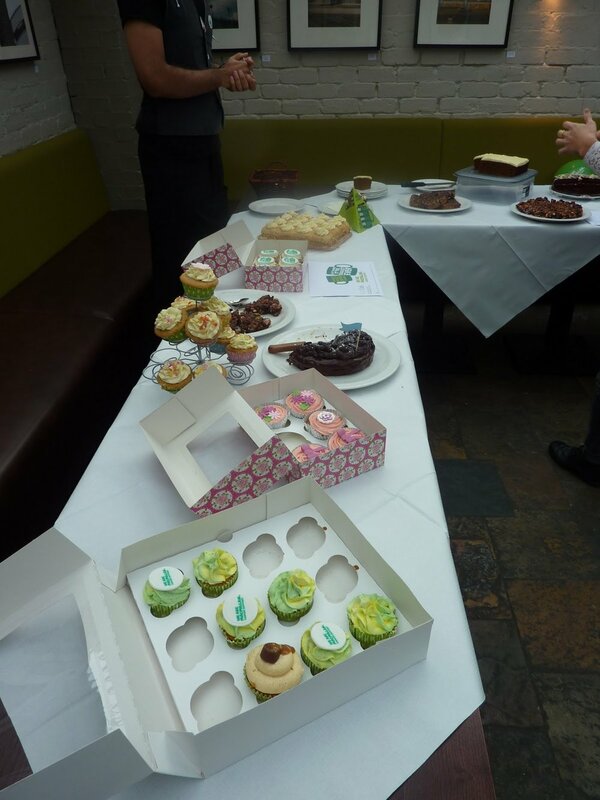 The Lansdowne raised over £300 on the day by selling these delicious cakes which I think is an amazing effort. Thank you so much to the Lansdowne for inviting me along to judge, it was an absolute honour. And now, here's the black velvet cupcake recipe. Someone (not me) made a pinterest image saying "click for recipe" which has disappointed thousands of people who've clicked through to find there is no recipe. Well thanks to my amazing friend Barry, the original baker of these cupcakes, here it is! 2. Cream together the butter and sugar, then add eggs one at a time. 3. Mix together the cocoa powder, colouring and vanilla into a paste, then add to the cake mix. Ensure colour is well mixed through. 4. Add 1/3 buttermilk then 1/3 flour. Repeat until all incoporated. 5. Add bicarbonate of soda and vinegar, and quickly mix together. 6. Pour mix into cupcake cases, filling 2/3rds full. Bake for 12-14 minutes. 7. While baking, make the icing. Beat the butter and raspberries together. They will not mix easily but continue until mostly incorporated. 8. Don't worry if it looks like it's split. Freeze the mix for about an hour until hard. 9. Once hardened, remove from freezer and pop in a mixer. Beat on a slow speed until soft then add icing sugar. 10. Add enough black food colouring to get the colour mix you want.